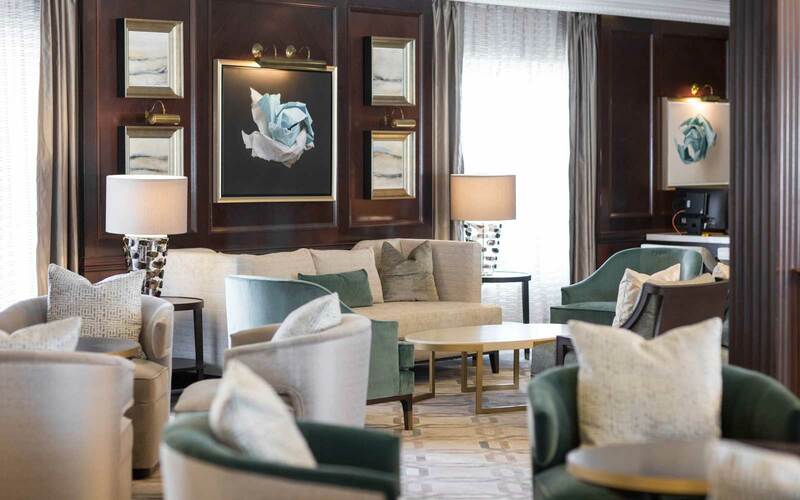 Last month, Oceania Cruises unveiled the new look of Insignia, one of their four Regatta-Class ships, and the first to undergo renovations as part of brand’s $100 million “re-inspiration” initiative. 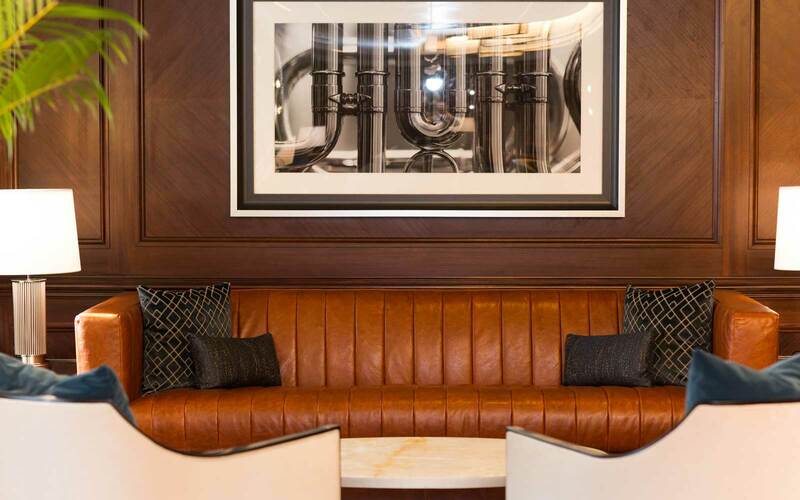 The dramatic makeover was led by Studio DADO, a Miami-based firm known for luxury residential and hospitality design. But the inspiration behind the new vision came from Oceania’s loyal passengers. 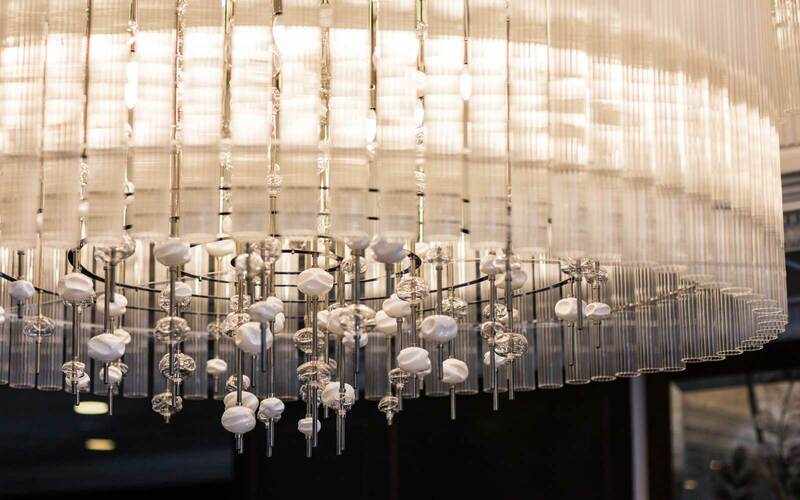 The resulting look marries the brand’s signature classic style (crystal chandeliers and a grand staircase) with airier touches, such as a cream and light blue color palette and gleaming marble surfaces. Stripped down to their studs, the new designer suites and staterooms have custom furnishings in silvery greys and greens, exotic stone and polished wood accents, and totally redone bathrooms. 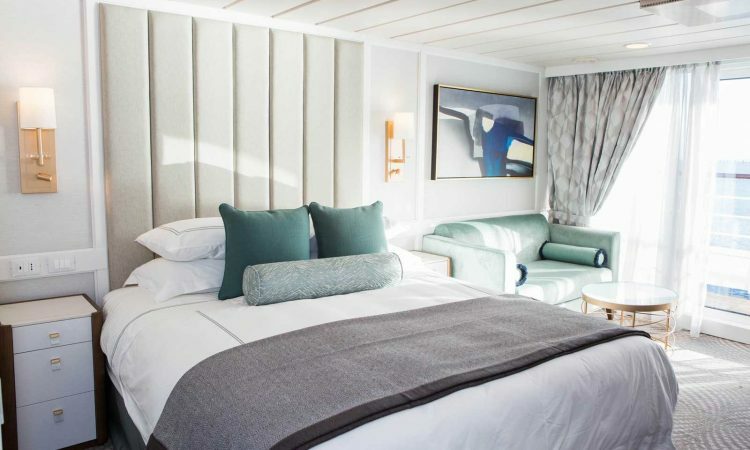 “We are maintaining the intimate surroundings and personal attention that our guests love, while at the same time setting a new standard of style and elegance for small ship cruising,” said Bob Binder, president and CEO of Oceania Cruises. Fans of the brand’s other three ships won’t have to wait long to see the stunning transformations first-hand: Sirena will debut its new look in May, followed by Regatta in September, and Nautica in June 2020.